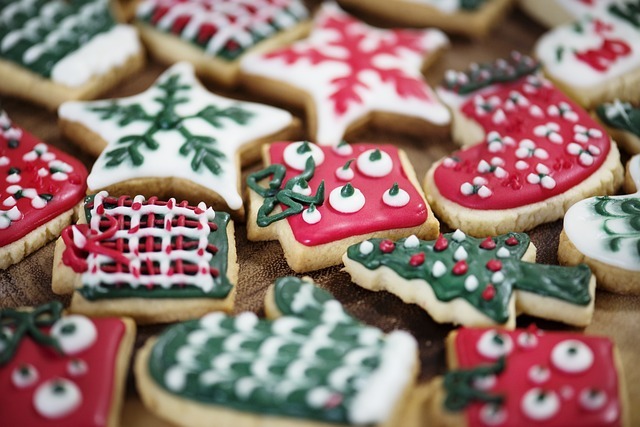 Unfortunately, many people dread the holidays because they worry about weight gain. It doesn't have to happen if they choose foods carefully, be wise about portion size and make sure they get some form of exercise every day. Eat nutrient-rich foods first and then you can indulge in holiday drinks and treats in moderation, of course. It's easy to eat the nutrient-rich way — even when you're in a time crunch. This means getting the most vitamins, minerals, and other nutrients — but not too many calories — from the foods you choose. Foods in the Grain Group provide important nutrients such as B vitamins, minerals, and fiber. Whole grains may not only help reduce the risk of heart disease and some cancers but may also help with weight management. Enriched, refined grains are fortified with iron and four B vitamins (riboflavin, niacin, thiamine, and folic acid) to help prevent beriberi, pellagra and neural tube birth defects -- and possibly heart attacks, Alzheimer's disease, and strokes. They contain twice as much folic acid as whole grains. It is important to be physically active during the holidays as they are filled with parties and big meals. The more you move, the more calories you can eat and the more likely you are to maintain a healthy weight. For good health and to burn calories, aim for at least 30 minutes of moderate or vigorous physical activity each day. More is even better! * Eat a healthful meal before going to a party to fill you up and make it easier to turn down high-calorie snacks and beverages. * Take a walk with the family before a holiday meal because you won't feel like eating as heavily afterward. * Watch portion size. Use smaller plates and eat only half of a high-calorie dessert or treat. * Use low-fat or fat-free evaporated milk instead of half-and-half in soups, mashed potatoes, and pies. * In your favorite dressing recipe, use half of each whole wheat and white bread to get the extra nutrients from the whole grain and the extra folic acid from the enriched white. * When making a dressing, use fat-free milk or chicken broth for the moisture instead of the normal shortening you use. * Add pureed pumpkin to your dinner roll recipe. It provides more nutrition and color. * Instead of mashed potatoes and gravy, consider making potatoes from half each of white and sweet potatoes, mashed with low-fat sour cream, salt, and pepper. Good for more nutrition, fewer calories, and more color. And finally, teach family members to set and clean off the table as well as wash pots and pans as the meal is being prepared. This will help relieve stress on the head cook. Holidays are for everyone to enjoy, not everyone but Mom.